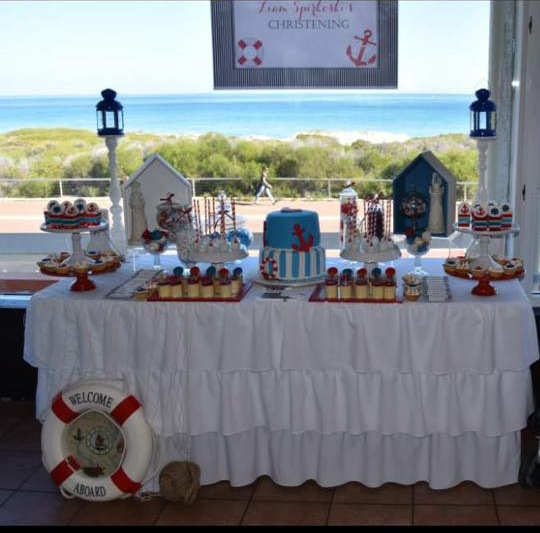 Big thanks to our customer Sanja for sending through the pictures of the dessert table she set up for her son’s Nautical Theme Christening using our printables. 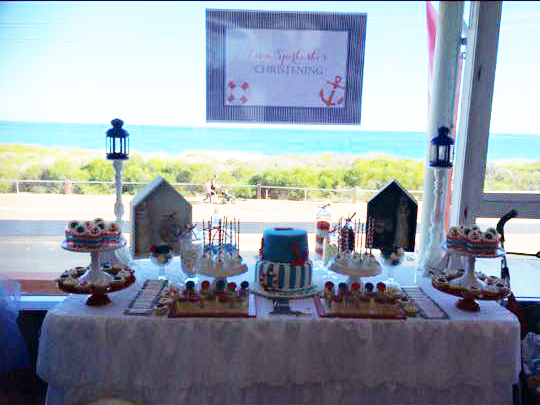 I love the styling, I hope it gives you some ideas for your next event. And have a look at the background setting – couldn’t ask for a better view! 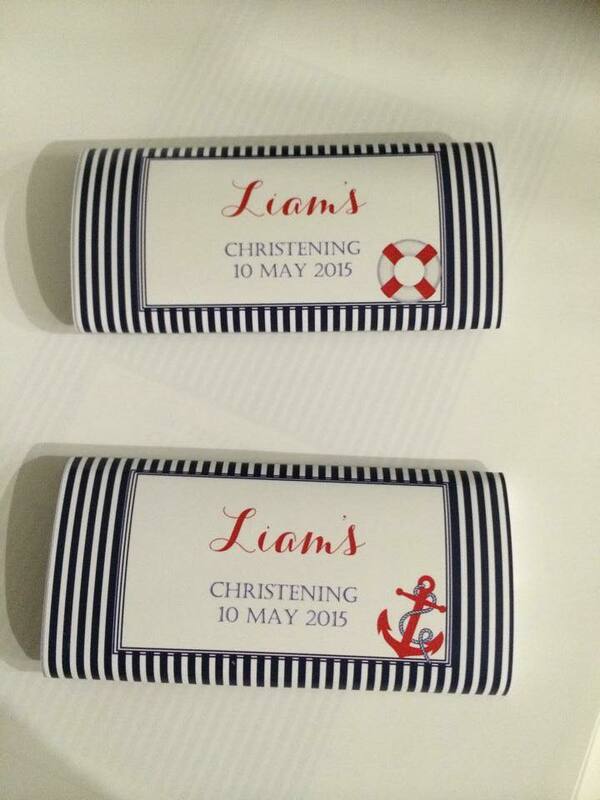 Matching nautical themed Candy/Chocolate wrappers personalized by my customer. 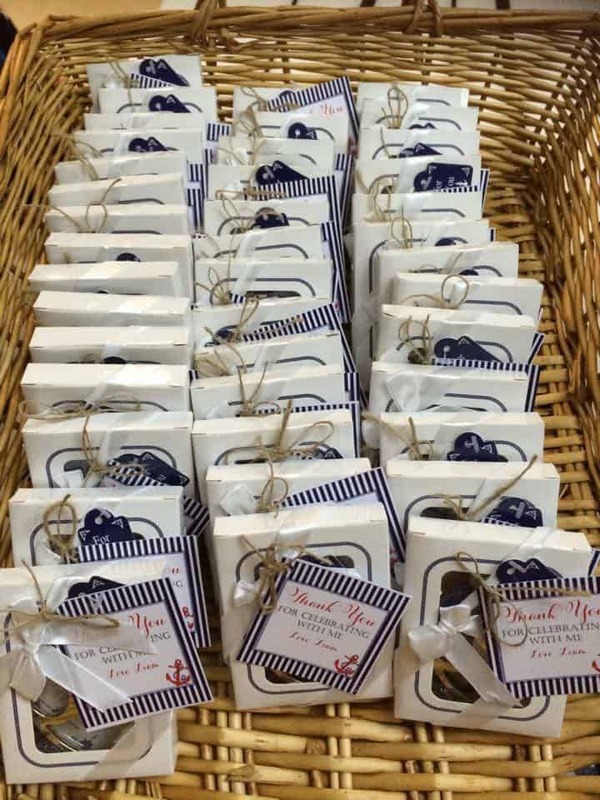 Matching nautical themed Favor Tags personalized by my customer.